If to the usual elegant purses you prefer something equally practical but more colorful, young and lively, here is a multicolored and a bit geeky solution, that will satisfy those who love a solar, dynamic and playful style. 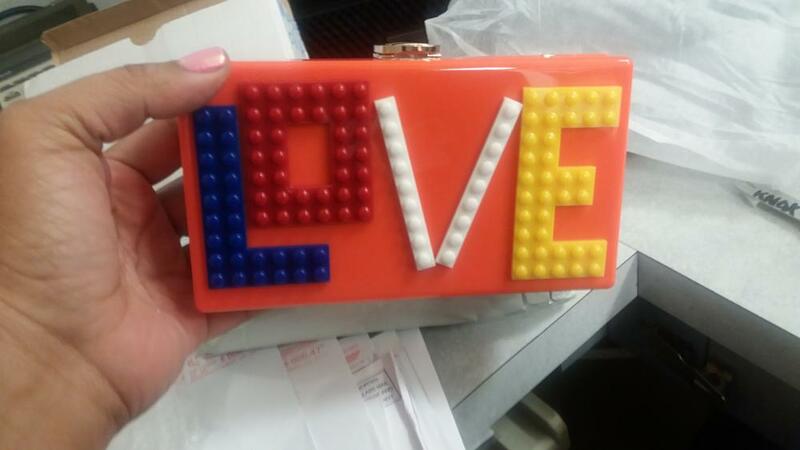 This hard case clutch, has a nerdy aftertaste, the colorful Lego pieces spell the word “Love”, a love declaration to yourself and to the world, always with you, to be paired with your best smile! Available in many colors, it also includes a removable chain strap, our romantic Lego clutch is lined with soft satin that will protect your most precious belongings. Buy it to give yourself a splash of fun and originality that will compliment your outfit or, if you are a man, don’t miss this perfect Valentine’s gift! Product just as pictured. A lovely clutch.